Last weekend we got back from Ukraine. 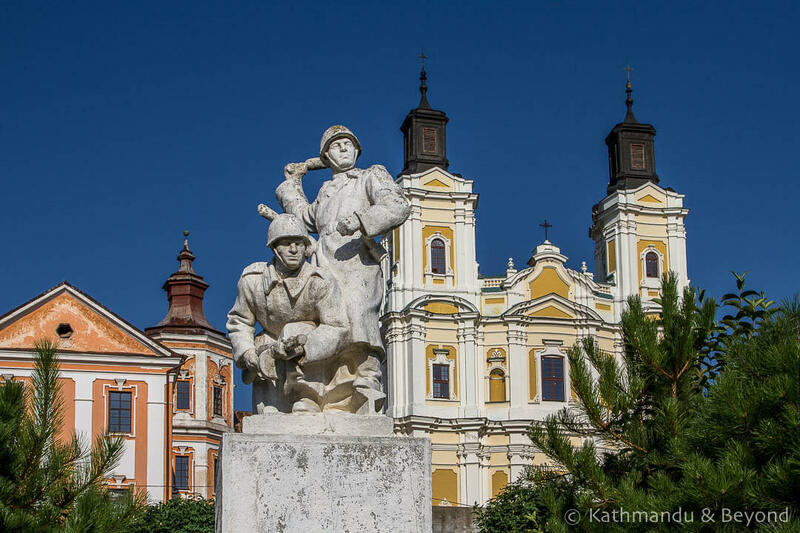 It was our fourth trip to this eastern European gem in three years and this time we spent six weeks travelling to 18 towns and cities (15 that were new to us). At a very rough estimate, we covered 3272 kilometres by train, bus, and marshutka and according to my iPhone, spent 565 kilometres pounding the pavements. I should be writing up an encyclopedic number of articles about travelling in Ukraine but as I procrastinate over which scrappily written note I should turn into a blog post first, I’ve come up with something far more trivial. 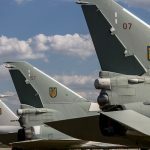 To help with my decision-making, if there is anything here you’d like to read more about or any other topic related to Ukraine, either leave a comment at the end or drop us a note. Translated as ‘Andrew’s Ascent’, this is said to be the oldest street in Kiev and it connects the Upper Town with Podil, the Old Town. It’s not my favourite part of the city but most visitors will find themselves there at some point if only to gaze upon the incredibly beautiful St. Andrew’s Church. Circuses were an important form of entertainment in the former USSR with performers trained at the prestigious Moscow State Circus. 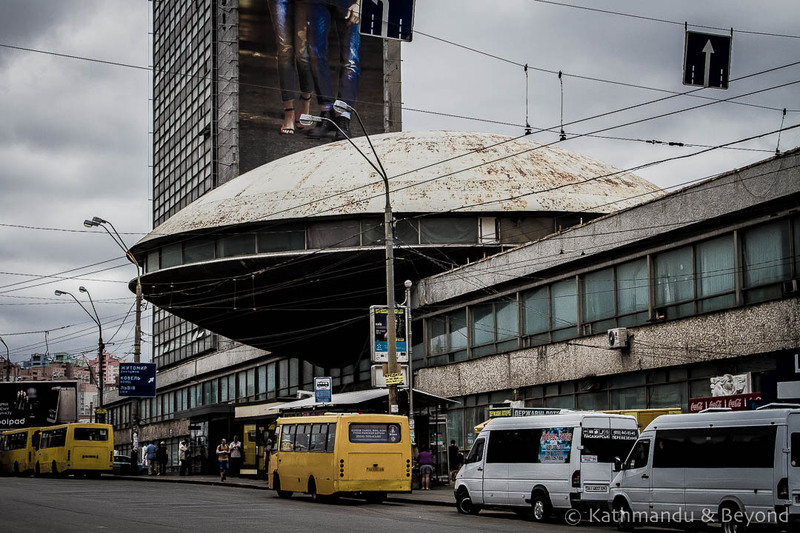 Whilst we do not condone what circuses stand for, we do seek out circus buildings in ex-Soviet states. Often, they look like a traditional big top tent, but in glorious concrete! Ukraine’s third largest city was previously called Dnipropetrovsk or Dnepropetrovsk but helpfully shortened its name in May 2016. Easier to pronounce, but only if you are in the know – the D is silent. Dnipro was a closed city until the 1990s as it was an important space and ballistic missile design centre. 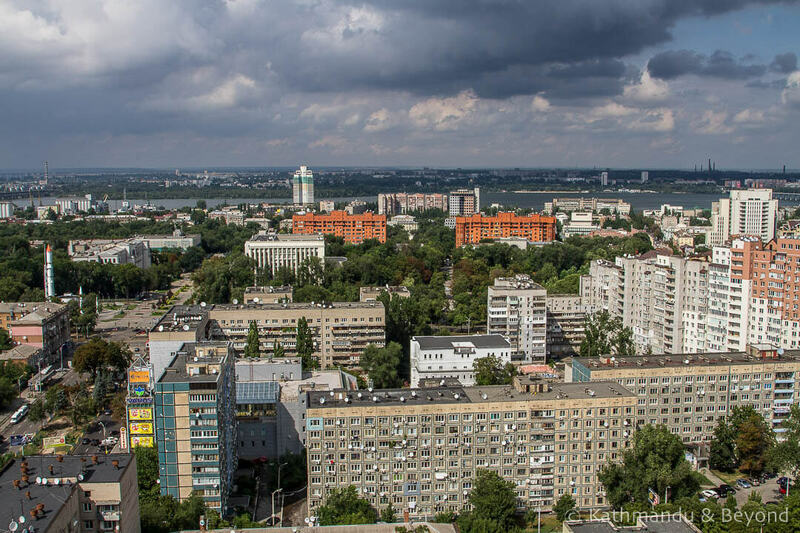 Dnipro – did you spot the rocket on the left-hand side of the photo? 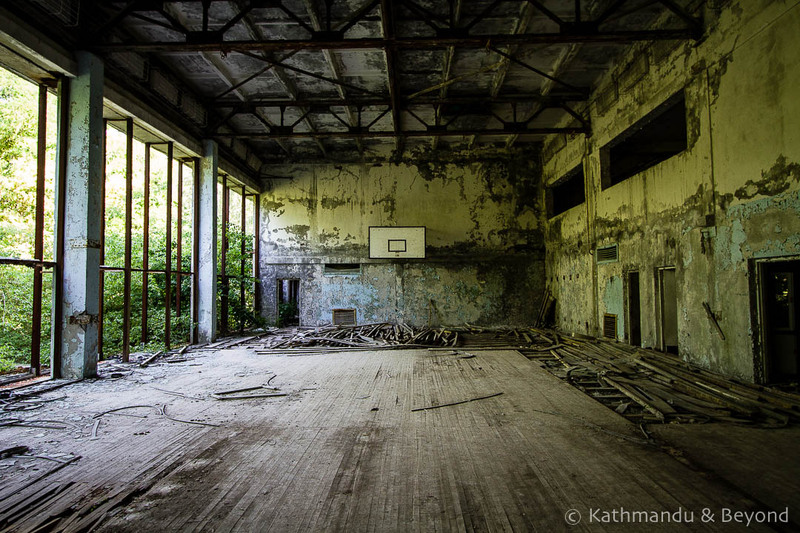 The Chernobyl catastrophe created an exclusion zone covering 2,600 km2 (1,000 sq miles). Thirty years later, life is starting to return but public access is still restricted. 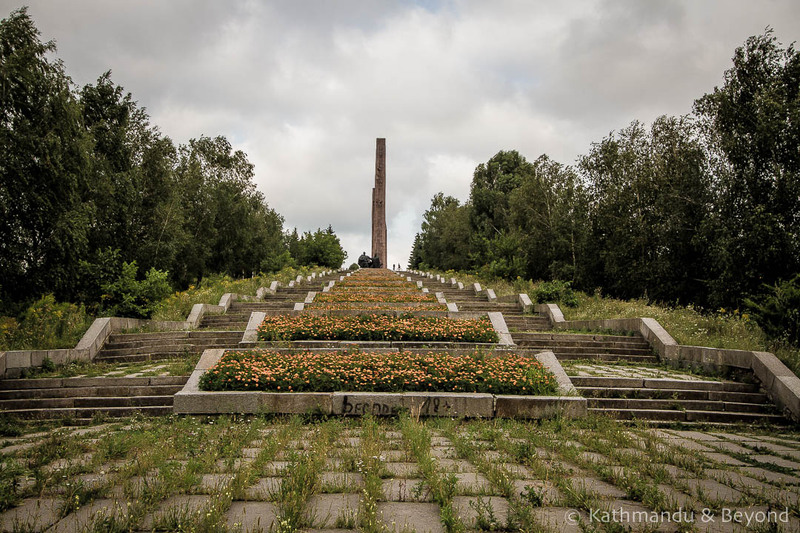 Visiting the site of the reactor and the abandoned town of Pripyat is now a popular excursion from Kiev. Chicken Kiev doesn’t come from Kiev. Its origin is unknown but some sources claim the name was invented by early New York restaurants eager to attract Russian immigrants and others say its creators were French chefs in Moscow, eager to impress the aristocracy. Ukraine shares land borders with 7 countries, Russia, Belarus, Poland, Slovakia, Hungary, Romania, and Moldova. Ukraine is the largest country in Europe (Russia is also a contender but arguably its borders are not all within Europe). Ukraine likes a drink – the nation ranks 6th in the world for alcohol consumption (Belarus drinks the most and several other neighbouring countries are also ahead of them: Moldova, Lithuania, Russia and Romania). Lviv is home to the highest number of cafes per capita in the world. Kharkiv’s colourful cable car. Watching me get off it was a lot of fun for Mark! 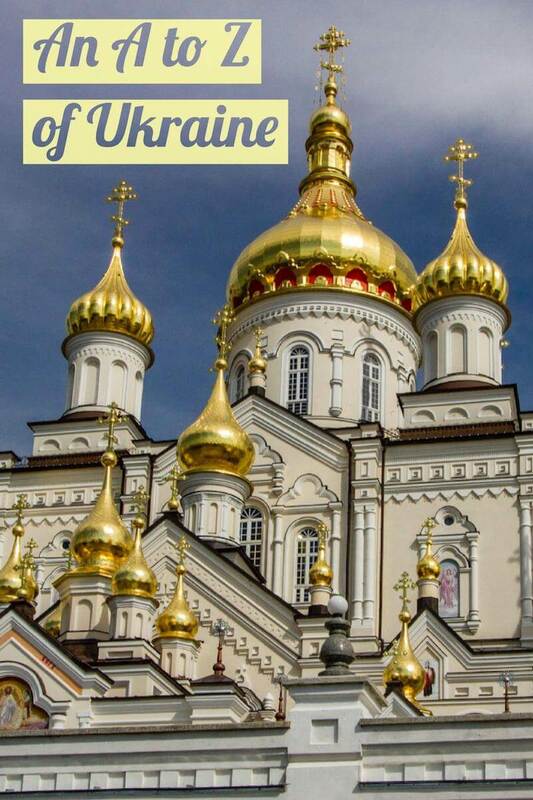 Ukraine’s onion-shaped golden-domed churches and monasteries are probably its most photographed sights and deservedly so in my opinion. I never get bored of looking at them and I actually feel my spirits lift when I catch glimpses of my favourite, St. Michael’s Golden-Domed Monastery, when I’m wandering around Kiev! Ukraine’s currency is the Hryvnia. We still have trouble pronouncing the word and quite often find ourselves asking “how many hyenas is that? 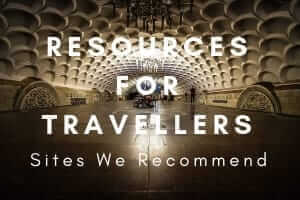 !” Ukraine is one of the cheapest countries in Europe to travel in, possibly the cheapest. There are currently 33.5 hryvni to the British pound, 30.7 to the Euro and 26 to the US dollar. 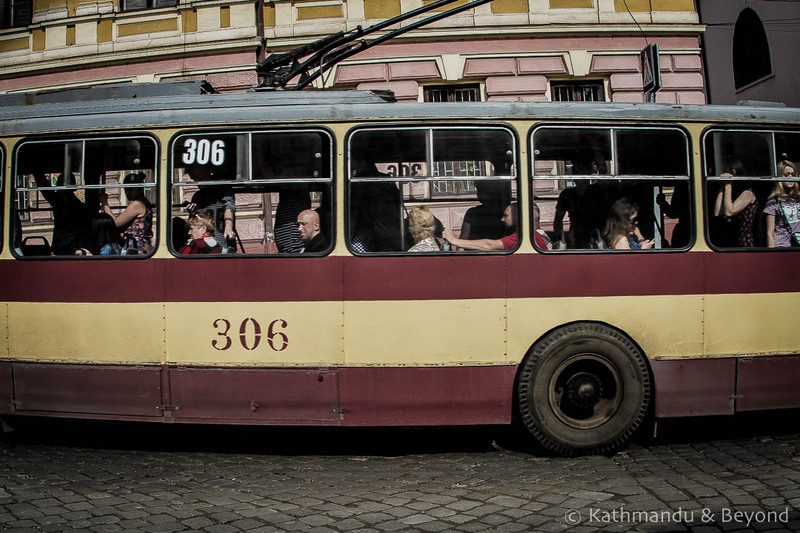 A pint of beer in a local bar can cost as little at 15 Hryvnia and just 2 Hryvnia gets you a ride on a trolley bus or tram in most cities. In commemoration of Ukraine’s Declaration of Independence in 1991, Independence Day is celebrated each year on the 24th August. We were in Kiev last month to enjoy their 26th Independence Day which was celebrated with a big military parade, music and a good day out! Not a part of history that is immediately associated with Ukraine, but Jewish settlements can be traced back to the 4th century. 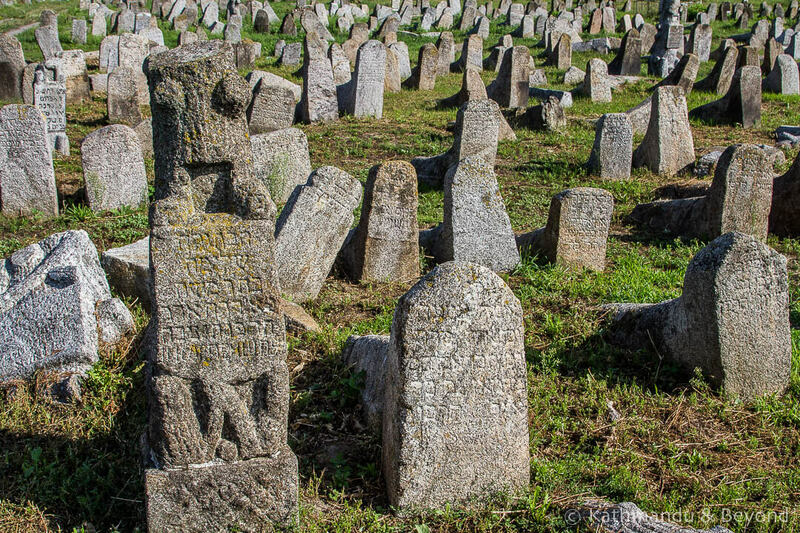 The Jewish community was heavily persecuted by the Cossacks in the 1600s but more than half of the Jewish population was tragically wiped out during the Second World War. 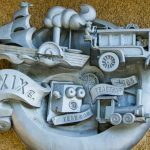 Whether you spell it Kiev or Kyiv, it still begins with K. Ukraine actually has lots of cool places beginning with K including Kharkov, Kremenets and Kamenets Podolskiy but an A-Z of Ukraine wouldn’t be complete without including Kiev. Ukraine’s capital may get a bad rap from some, but it’s among my favourite cities in the world. But everyone has heard of Lviv and although it’s definitely a “must visit”, I’m going to go with little-known, off-the-beaten-path Lutsk. With a history dating back to 1085, Lutsk is one of the oldest cities in Ukraine. 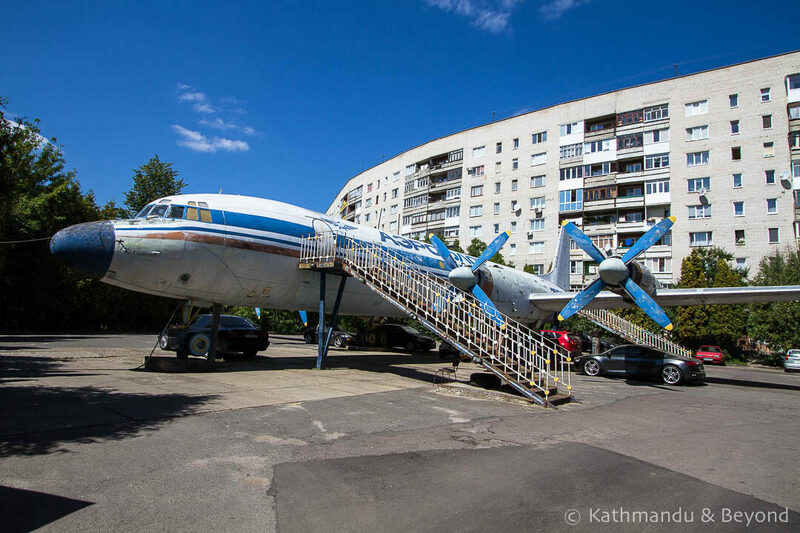 As well as a medieval fortress, our highlights included Soviet-era mosaics, street art and an abandoned Aeroflot plane in an apartment building carpark! 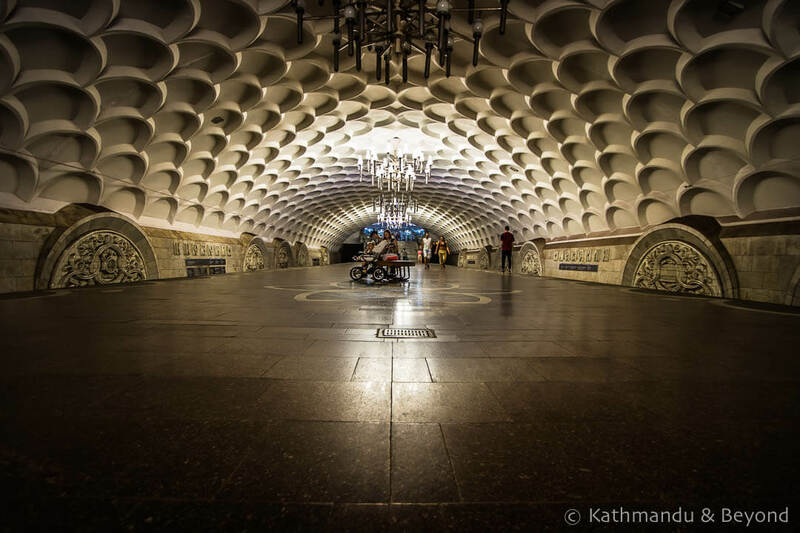 Arsenalna Metro station in Kiev is said to be the world’s deepest at 106 metres below ground. Reaching the platform takes several minutes via two very long escalators and it’s not uncommon to see commuters sat on the steps reading a book to pass the time. Many of the metro stations in Ukraine are beautifully decorated with fancy lights and colourful mosaics. They are notoriously difficult to photograph as even though taking photos is not among the long list of forbidden activities, you are likely to get shouted at by a stern ‘metro matron’ if you get caught! I couldn’t decide between Metro and Mosaics so I’m going to sneak this one in too! 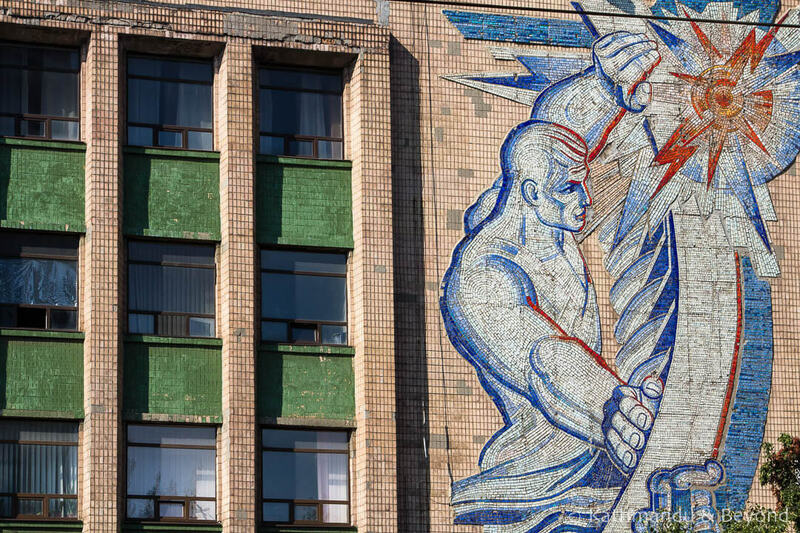 I suppose I could have gone for ‘Metro Mosaics’ but these intricate and often colourful Soviet-era mosaics that could be considered an early form of street art are going to get their own entry…. The colours of Ukraine’s flag represent golden yellow crop fields under a blue sky, but Ukrainians really take their national colours to heart and it’s common to see blue and yellow paint used liberally and patriotically in everyday life – cars, walls, public phones, shops, lampposts, bridges, railings… You name it, there’s probably a blue and yellow version somewhere in Ukraine! On the Black Sea coast in southern Ukraine, Odessa is the right combination of beaches, seaside promenade parks, and 19th-century architecture. The city’s Potemkin Stairs get a lot of attention although, in my opinion, they are the least-impressive sight in Odessa. Pochayiv Monastery is Ukraine’s lesser-known lavra (a type of monastery with an underground cave system). 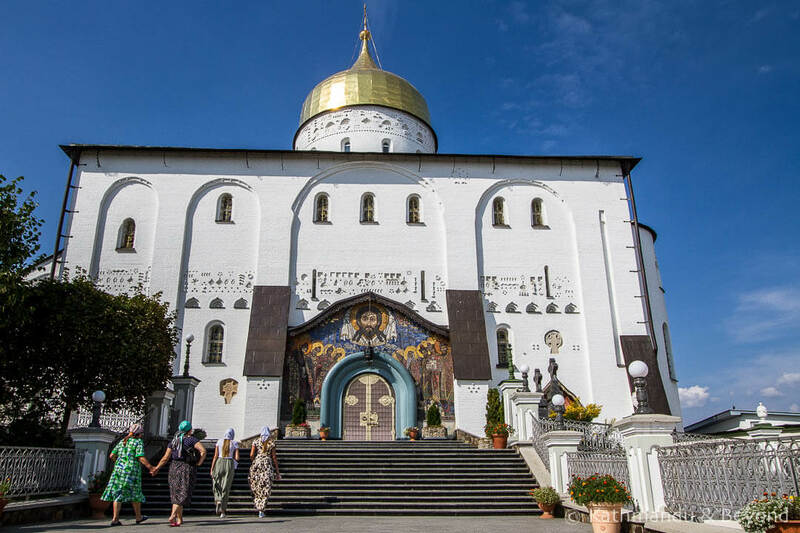 It’s the second-largest Orthodox complex in the country after Kiev’s more famous Pechersk Lavra and is almost as impressive but without the tourists! Defined by the dictionary as ‘unconventional, unusual, offbeat, out of the ordinary, alternative’. Ukraine ticks all of those boxes for travellers. 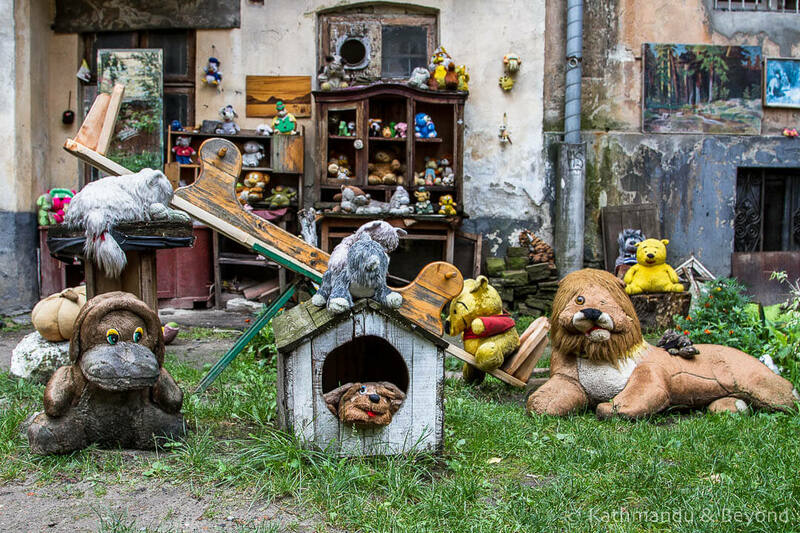 Let’s face it, when it comes to Ukraine anywhere outside of Kiev, Lviv and Odessa are off the beaten path for most travellers but how about these for starters… The Yard of Lost Toys in Lviv, Avtomotovelofototeleradio museum in Vinnytsia, Landscape Alley in Kiev, an enormous Cold-War-era early-warning radio installation at Chernobyl, a Lenin turned Darth Vader statue in Odessa, and more abandoned airplanes, cars, tanks and buildings you can count. Most travellers scoot through Rivne on their way to the nearby Tunnel of Love, but that’s a mistake. 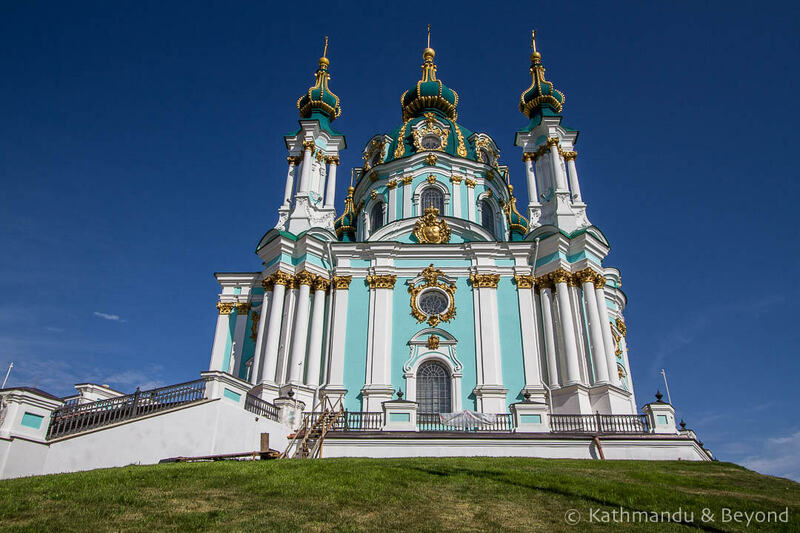 It has all the hallmarks of a visitable Ukrainian town – golden domes, wide squares, vintage public transport, architecture across the genres, a gargantuan WWII memorial, street art, mosaics and in Mark’s words is “one of the coolest towns” we’ve visited. 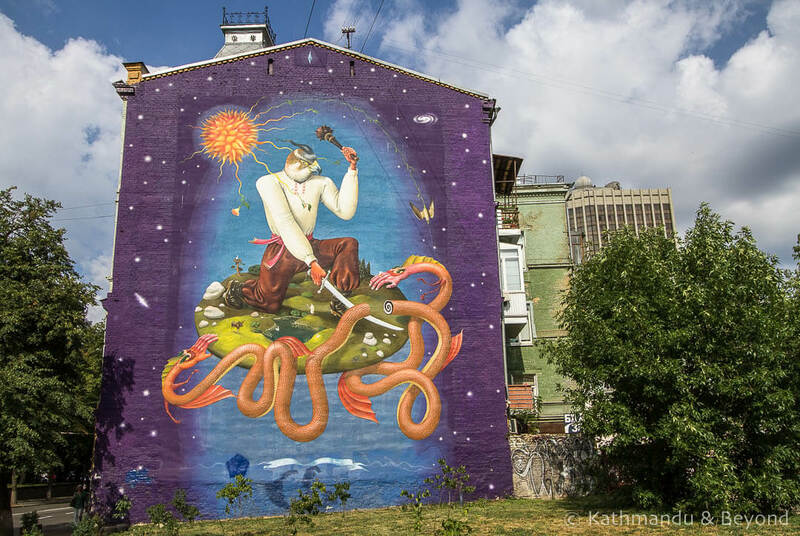 Ukraine has almost as much street art as it does churches and monasteries! There aren’t many towns and cities where we didn’t find more than one interesting piece of street art or graffiti. However, with over 150 giant murals adorning city buildings, the scene in Kiev is definitely streets ahead of other places. 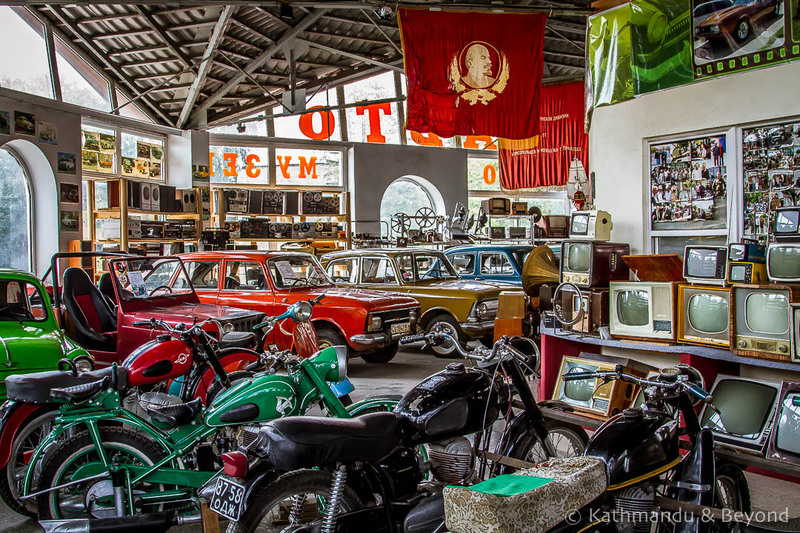 We’re generally not ‘museum people’ and prefer to be out exploring back streets and seeing real life instead of looking at dusty pieces of old broken pots but Ukraine seems to have turned us into transport museum geeks! 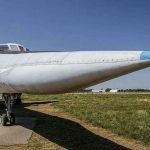 It all started a couple of years ago with the Avtomotovelofototeleradio Museum in Vinnytsia, and on our recent visit to Ukraine we visited Aviation Museums in Kiev and Poltava, the Railway Museum in Kharkiv and the Faeton Retro Car Museum in Zaporizhia. Ukraine boasts 7 UNESCO World Heritage Sites, 6 Cultural and 1 Natural site. 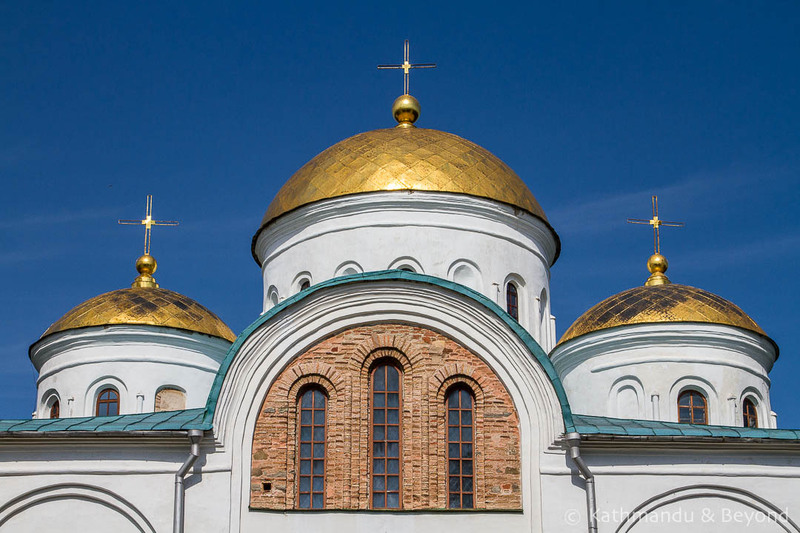 Their first listing was in 1990 in Kiev: ‘Saint-Sophia Cathedral and Related Monastic Buildings, Kiev-Pechersk Lavra’. We’ve seen all seven except for the one on the Crimean Peninsula. 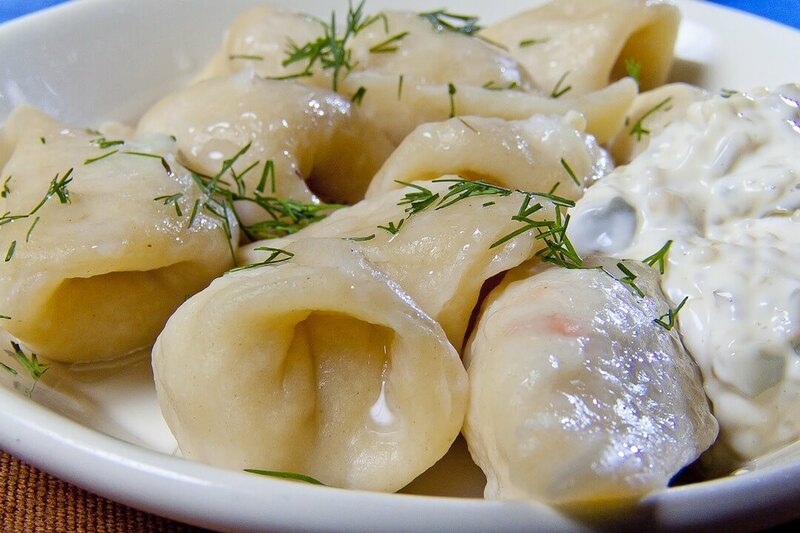 If you spend any time in Ukraine, chances are you will have a plate of varenyky at least once. Also known as pierogi, they are a type of stuffed and boiled (and sometimes fried) dumpling which do taste much better than they sound! Not dissimilar to ravioli, they come with either savoury or sweet fillings. Varenyky… with dill of course! 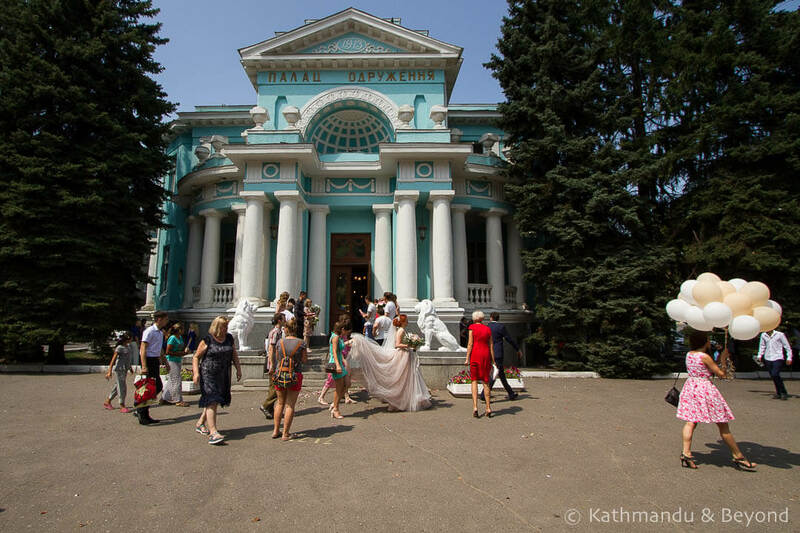 You still find Wedding Palaces in many cities of the former USSR. They are a throwback to Soviet times when religion was effectively banned in communist USSR and came about because the authorities recognised that couples wanted to celebrate their marriage. We usually try and find the local Wedding Palace as they are often poetically Brutal in their design. 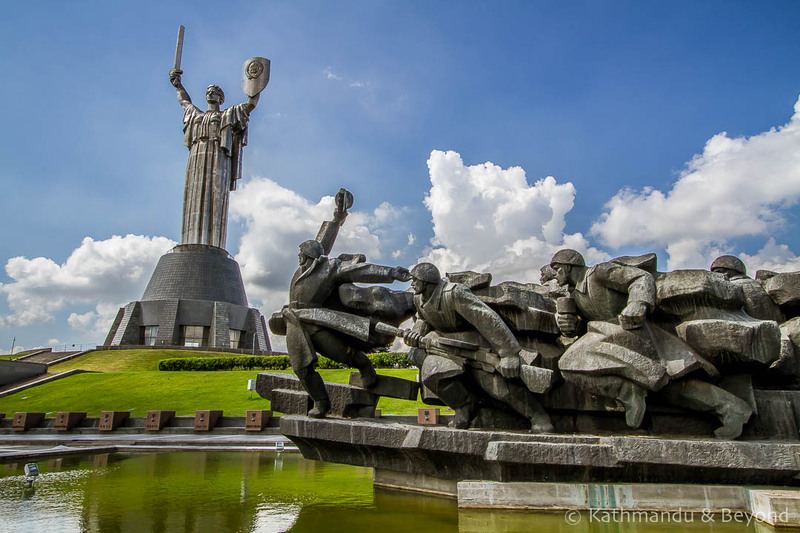 Ukraine has hundreds of, very impressive, huge scale, war memorials. Often they are centrally located within a city but we’ve also spent plenty of time hiking out of town to random parks in the middle of nowhere in search of them! Not to be confused with X which doesn’t have an equivalent in the Cyrillic alphabet. Although х looks like x, it’s actually pronounced ‘kha’. So my entry for X is Kharkiv, or Харків in Ukrainian which, even though it’s the country’s second largest city, receives hardly any tourists. 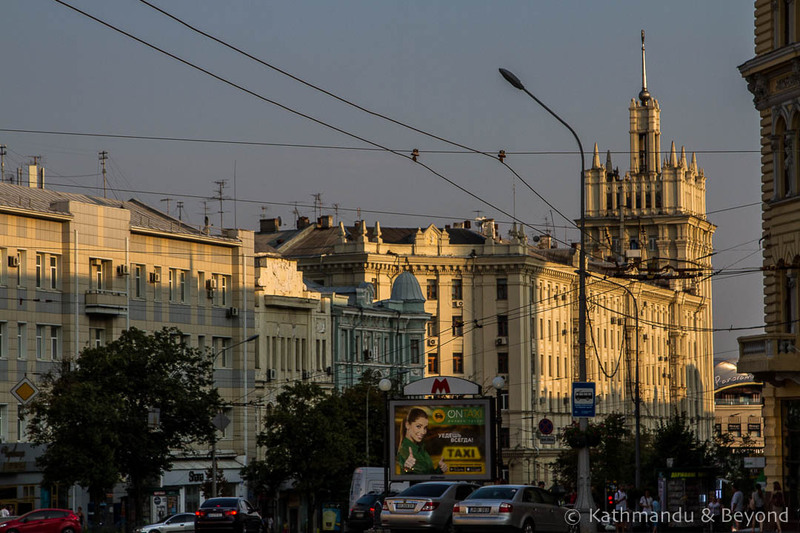 Perhaps Kharkiv is over-shadowed by Kiev, or maybe travellers mistakenly consider the city to be unsafe (yes, it’s in eastern Ukraine but Kharkiv is still a long way from the war zone); either way, the city is worthy of a few days and you’ll find plenty of things to do there. Tucked away in the southwesterly corner of Ukraine, Yaremche is a small town in the Carpathian Mountains. The chain of mountains stretches from the Czech Republic through Slovakia, Poland, Hungary into Ukraine, and then through Romania and Serbia. A little over 50% of the range is in Romania and whilst just 11% falls in Ukraine, Yaremche is a good base to get a taste of the countryside. Another overlooked town even though it’s only a couple of hours from Kiev. Zhytomyr also makes a great place to break the journey between Lviv and Kiev. 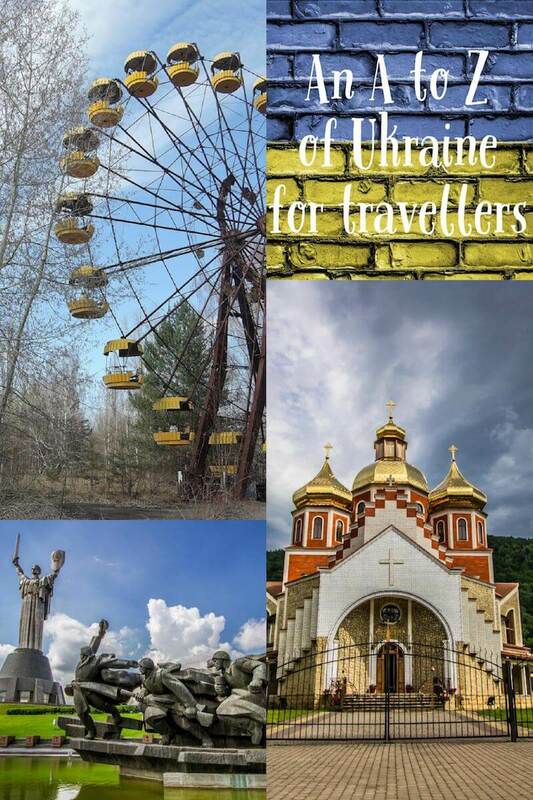 Soviet-era architecture, 19th-century churches, mosaics and street art, and a tank monument with a golden-domed backdrop… I realise it’s starting to sound like a familiar list but that’s what makes it so appealing. That and Ukraine’s only cosmonaut museum! 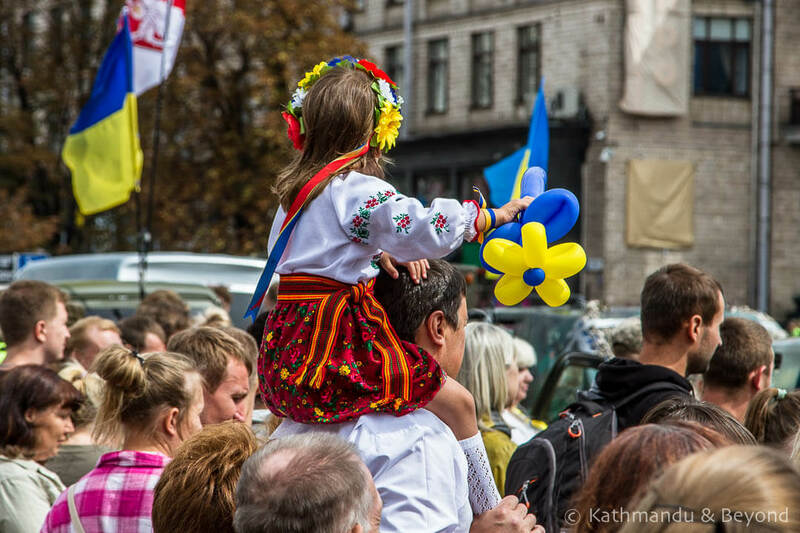 So there you are… 26 reasons to visit Ukraine in a neat little A to Z! I hope you enjoyed it? The question remains… What do you want to read more about? Leave a comment below. 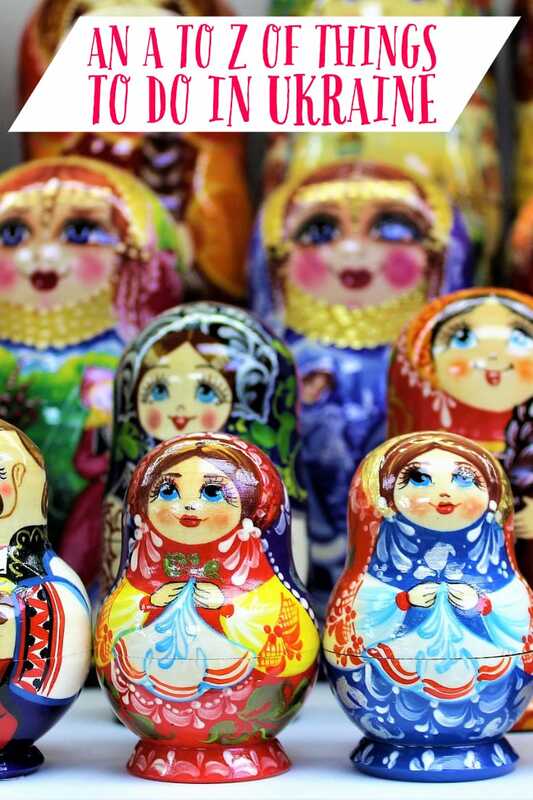 Click to Tweet this A to Z of Ukraine! Wow, you guys are now experts on the Ukraine. 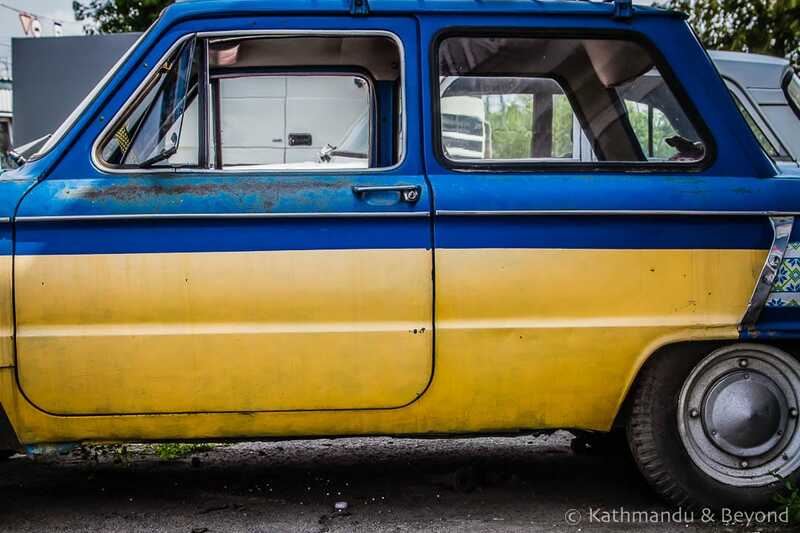 Ever thought of writing a Guide to the Ukraine, similar to the itineraries you sometimes do? (but focusing only on the Ukraine). It’s high on our list and hope to do it next year (things didn’t go according to plan this year). I’ll be asking you guys for some advice for sure! PS. Wow. That Aeroflot plane in the carpark. Cool. Yes, a guide type of post to Ukraine, as well as more itineraries, are in the works. Just hope we can get them published before your visit! Good, that’s my aim – to encourage more people to visit this vast and diverse country! That was interesting. I look forward to your upcoming itineraries, too. How far east did you get? Anywhere near the front lines? The furthest east we went were Kharkiv, Zaporizhzhia, and Dnipro which is about 200kms away, so still a long way from any fighting. Because Dnipro is the closest big city, you see evidence of the war in terms of troops on leave, more memorials to lives lost than in other cities, but certainly no feeling of unrest in Dnipro itself. Great post! I’m planning on getting to the Tunnel of Love next weekend and thought about going from Lutsk, even though it’s further, because I’m running out of weekends to travel, but it sounds like Rivne is worth the visit! 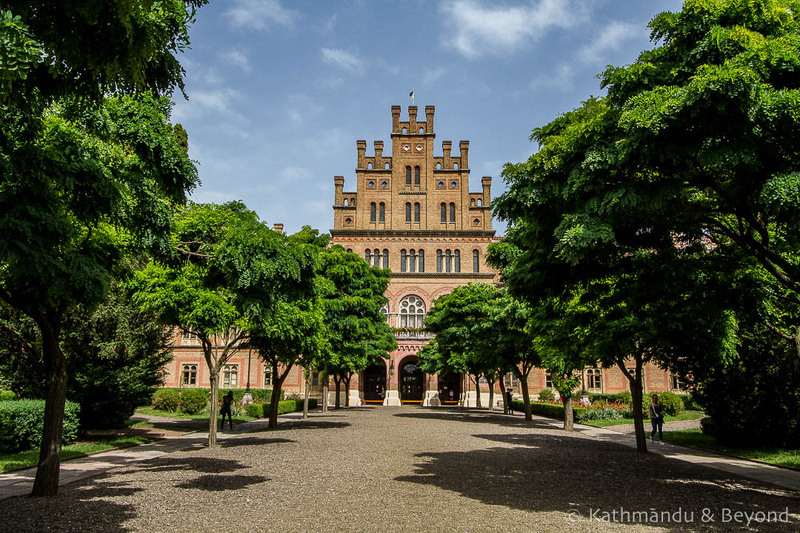 Chernivtsi University is so beautiful, I had to find a place to include it! Great post. Love this. My favourite was s for street art and the v – I love pierogi!